Home / Who Is Who / Who Is Dr. Seyi Adigun? Who Is Dr. Seyi Adigun? Dr Seyi Adigun is from Sanmora town in Irepodun Local Government of Kwara State. Early education was at Shonga Primary school and later Baboko (now Sheikh Alimi) Primary school Ilorin. He thereafter attended GSS Ilorin (1988–1993) where he was Head boy & President of the Literary/debating society. Seyi Adigun studied medicine at the University of Ibadan, receiving the prestigious College of Medicine Provost's Award on graduation in 2002. He was admitted into the Chartered Insurance Institute of Nigeria in 2007 where he bagged the Diploma and Advanced Diploma in Insurance with a distinction in health insurance product. He was inducted as a chartered member of the Institute in 2012, becoming the first medical doctor to attain the Institute's professional status as Chartered Insurer. He is also a Fellow of the Institute of Management Consultants (IMC, Nigeria). Dr. Seyi Adigun's professional expertise has seen him held strategic management positions in Nigeria's health insurance industry. These included operational headship and managing directorship of prominent national HMOs as well as participation in the standing committee of the National Health Insurance Scheme(NHIS). Presently, he is the Lead Advisor, Lazforte Medicals ( a health insurance and health systems consulting firm). He also serves as head of the medical team at Adonai Hospital, a leading multi practice and multi specialist medical facility in Nasarawa State. Apart from his medical career, Dr Adigun is a committed member of Nigeria's literati. A multiple award winning author; with 6 published collections of poetry, and several other works (including a staged play ‘ Call for me my Osheni’ at the FESTINA) , Seyi Adigun has established himself as one of the consistent literary voices in Nigeria. His latest work, A Child of Smell was on the shortlist of the 2017 ANA Poetry Prize. He served two terms successively as Chairman, Association of Nigerian Authors (ANA) Abuja Chapter from 2008-2012. Dr. Seyi Adigun is a devout churchman, member of the Anglican Church; currently, a Bishop’s Advisor in the Anglican Diocese of Igbomina West, Kwara State. He is an avid chess player, an environmentalist, peace advocate and humanitarian. For the past 13 years, he has facilitated the Waziri Free Medical Programme, sustaining the outfit to provide free medical treatment for tens of thousands of community dwellers across his Local Government Area, Irepodun, in Kwara State. 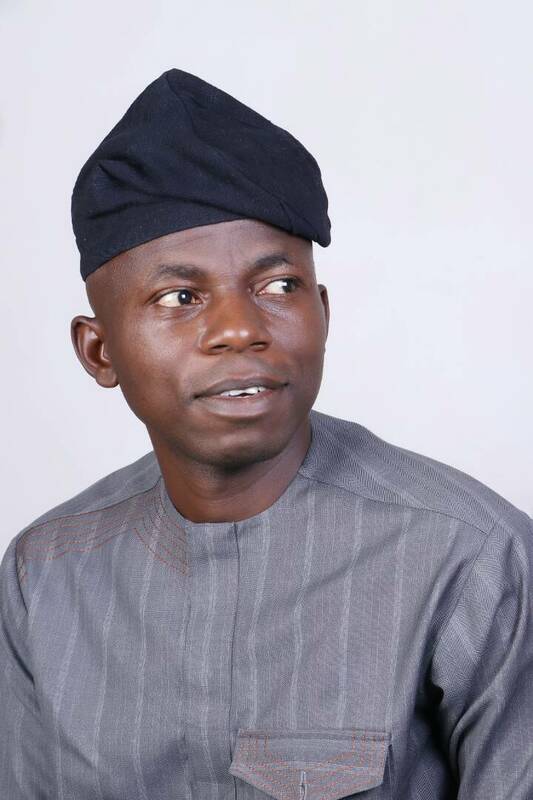 A grassroot politician and mobilizer, in the build up to the 2015 General Elections, he was appointed Coordinator of the BUHARI/OSIBAJO Presidential Campaign Organisation in Irepodun LGA. In December 2016, His Excellency, Dr. Abdulfatah Ahmed, the Executive Governor of Kwara State appointed Dr Seyi Adigun as Chairman, Governing Council of the Kwara State College of Nursing, Oke-Ode.